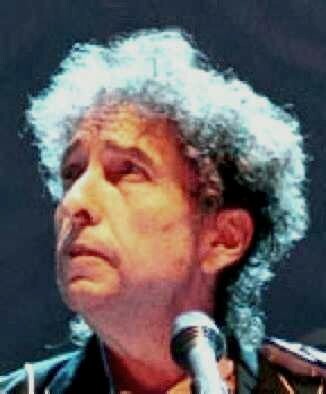 Only once since July 1996 "I BELIEVE IN YOU" had been performed, in November 1998, in Rochester, New York, when Bob Dylan pulled out this beautiful confession in Austria in April 2002, performing this song in a set which already included the first acoustic "SEÑOR" ever, as well as "SOLID ROCK". Five days later in Brussels Bob Dylan performed it again, in a show which had started with "HALLELUJAH I'M READY TO GO". 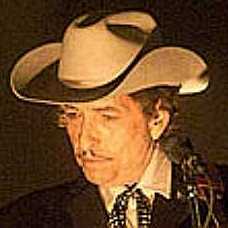 In July 2003, in Casper, Wyoming, in the second show of the summer tour, Bob Dylan performed his first "I BELIEVE IN YOU" in the US in almost five years. Already during the next concert, in Jackson, Wyoming, "I BELIEVE IN YOU" was performed again. Next it appeared in West Valley City, Utah, two days after that. Ten days after this, in Costa Mesa, Bob Dylan gave an amazing rendition of "I BELIEVE IN YOU" which happened to be the first (!!!) "Never Ending Tour" performance of this gem in the state of California. One reviewer "... felt like Bob recaptured the spirit of '79 with his singing (especially the way he drew out some of the words, like "heeeeeaaaaaaart")". Eight months later, in Boston, there was the first appearance of "I BELIEVE IN YOU" in 2004. It must have been an awesome experience to be present during this particular performance, judging by the reviews which started to appear a few hours later. The first one said: "I Believe in You was stunning. While some may have doubts that he could hit the high notes in the chorus (or refrain or bridge or whatever) Bob's voice actually soared. I could hardly believe it but he nailed it cold each time. It was very heartfelt. There was no doubt that he believes in his Lord. I have never heard a performance of this song that comes close to this. His head was down but he put everything he had into it." Another reviewer wrote about this performance of this song: "The biggest surprise of the night, and the band nailed it. Before the song Bob and the band had a little conference and then they broke into this song. Bob nailed all the lyrics. His singing was dead on and he even played a nice piano piece. After the song Bob came running out from behind the piano with a huge grin on his face. He ran over to Tony and they were laughing, almost like Bob was saying: wow we nailed that one." And another one, who was reviewing two shows together: "Perhaps the best overall performance when all is said and done with from the three nights of Dylan in Boston. Bob sang with heart and verve, and the bridge sections were so expressive and convincing, you just ached to hear every song Bob sings on tour done with as much passion and commitment to making sure you realize how special it is to see the man do his thing (when he wants to). You will definitely want to hear this and remember it. It was one of those definitive performances, and I suspect will stand out from the Spring 2004 when all's said and done, if not 2004." Yet another reviewer stated: "There was total passion in every inch of this song, and the chorus... people started screaming as it built and he finally lets it go and the crowd just goes nuts. What a performance. Anyone who thinks this guy's had it needs to hear this. It just defies... everything, really. ... "I Believe In You" is certainly burned in my brain forever." For another reviewer it also "was the absolute highlight of the show. Certainly a conversion of religious tones and an unbelievable portrayal of pure fire. The song was I BELIEVE IN YOU, rarely played and orginally a gospel song. Tonight it was renewal, be it by Jesus or just rock and roll itself. Dylan sang the verses soft, clear, sometimes snarling, sometimes using the original melodies from Slow Train and sometimes creating new melodies. During the bridge, the singing was full force with the last line fully climatic. 'This feeling's still here in my ................. heeeeeaarrrrrtttttttttt'"
And another review read: "The chills-up-the-back-of-my-neck song of the night was "I Believe In You," from Bob's first religious album. This followed close on the heels of "Rainy Day Woman" and the shift in tone was mind-blowing. From a raucous rendition of the "Blonde On Blonde" staple to the softly elegant "Slow Train Coming" standout, Dylan ushered the crowd from frenzied enthusiasm to a respectful awe." One reviewer commented a few days later: "The best song of the evening came next: I BELIEVE IN YOU. Bob was sterling on this one. This one seemed to sincerely come from the heart and he shared its beauty with us. He has taken to singing one song with religious connotations during each set. Usually this comes in position #13, right before Summer Days and the triple encore. He has used Saving Grace, Every Grain of Sand and even Shooting Star for this purpose during this tour. Friday he broke out I Believe In You and I was totally rapt on every word. I am very interested in hearing a boot from this evening to see if it is as magic on disc as it was live. This was a very moving and emotional performance. I cannot comment on how the band was on this song as Bob had my undivided attention from start to finish." This wonderful Boston performance of "I BELIEVE IN YOU" can be downloaded at the bottom of this page. Already during the next show, in Upper Darby, "I BELIEVE IN YOU" was performed again. Six day later, in Washington D.C., "I BELIEVE IN YOU" was included in a concert which had started with the first "GOD KNOWS" since 2001, and which had already featured gems like "I SHALL BE RELEASED", and the first "TRYIN' TO GET TO HEAVEN" in 2004. During the next show, in Norfolk, "I BELIEVE IN YOU" appeared in the same set as "RING THEM BELLS". Only three days after that, in Asheville, "I BELIEVE IN YOU" was performed for the first time ever in the same show as "NOT DARK YET"; and one day later, in Columbia, it shared the same set list with both "RING THEM BELLS" and "TRYIN' TO GET TO HEAVEN". At the last stop of the spring tour, in Atlanta, Bob chose to perform during the first show. Already at the first stop of the next tour, in June 2004, "I BELIEVE IN YOU" appeared in Gilford. During the European tour, which started later that month, "I BELIEVE IN YOU" was performed during the show at "The Glasgow Barrowland Ballroom" [you tube video at the bottom of this page]. Eight days later, outside of Padova, Italy, "I BELIEVE IN YOU" was included in the same show as "STANDING IN THE DOORWAY" and "FOREVER YOUNG". The next performances of "I BELIEVE IN YOU" were in August 2004, first in Altoona, Pennsylvania; and then ten days later in Lexington, Kentucky, where it appeared once more in the same show as "I SHALL BE RELEASED". The first performance of "I BELIEVE IN YOU" in 2005 was in April in Chicago. In an early review the following morning Adam Selzer commented: "Here we have what may well have been the highlight. Not burying the song in guitars gives the melody a chance to shine, and shine it did. Bob really SANG it - focusing even on the melody, and singing the "oh" part as it should be sung. Truly a heartfelt performance. Some called it the best since 81, and I've not heard a post-81 that would make me inclined to think otherwise." The next appearance of "I BELIEVE IN YOU" was already one week later, in Milwaukee. Eight days later, during the third Boston show, "I BELIEVE IN YOU" was performed in the same set as "A HARD RAIN'S A-GONNA FALL", "TRYIN' TO GET TO HEAVEN", "GOD KNOWS", and "RING THEM BELLS". On the following Sunday, in Atlantic City, "I BELIEVE IN YOU" appeared in an even finer setlist, together with "GOD KNOWS", "RING THEM BELLS", "TRYIN' TO GET TO HEAVEN", "A HARD RAIN'S A-GONNA FALL", and "MISSISSIPPI". Three months later, in July 2005, "I BELIEVE IN YOU" was performed twice; at first during the last of three Vancouver shows, and then on a Sunday, in Bend, Oregon, together with "GOD KNOWS" and "I SHALL BE RELEASED", during the last show before a two and a half months touring break, which was followed by the European tour of 2005. In 2006 "I BELIEVE IN YOU" was not performed at all; but after almost two years "I BELIEVE IN YOU" reappeared on a Sunday night, in Canada, during the North American summer tour of 2007. Two weeks later "I BELIEVE IN YOU" was part of another Sunday concert, this time in New Mexico. Four weeks after that "I BELIEVE IN YOU" appeared toward the end of one fine Sunday show in Melbourne, Australia. In 2008 "I BELIEVE IN YOU" was performed in nine concerts, six times in the USA in the summer, and then in Canada in November on three consecutive Sundays (the latest appearance was in the same set as "NOT DARK YET", "EVERY GRAIN OF SAND", and "BLIND WILLIE MCTELL"). In 2009 "I BELIEVE IN YOU" was performed again on consecutive Sundays during three European shows in the spring, two of which started with "GOTTA SERVE SOMEBODY". Jesus answered: ... Let not your hearts be troubled. Believe in God; believe also in me. You wait for the revealing of our Lord Jesus Christ, who will sustain you to the end, guiltless in the day of our Lord Jesus Christ.